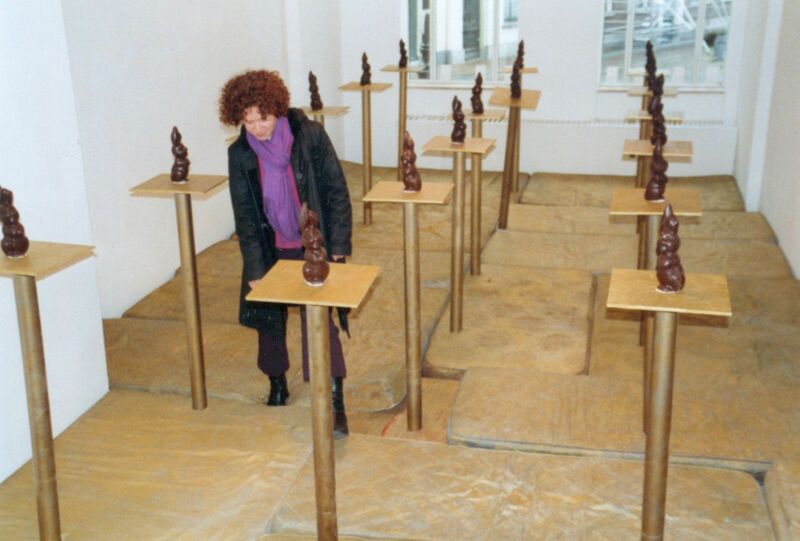 Site-specific installation. Chocolate rabbits sit on top of articulated podiums. 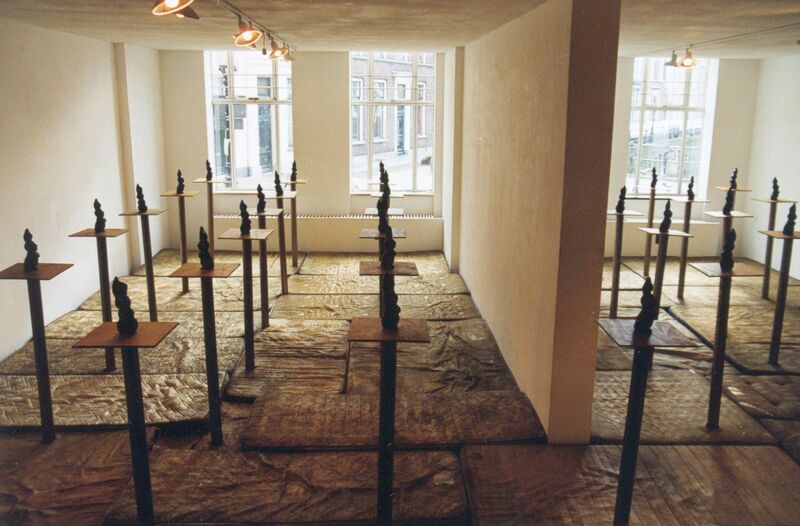 The floor is covered with golden mattresses, which makes difficult to walk. 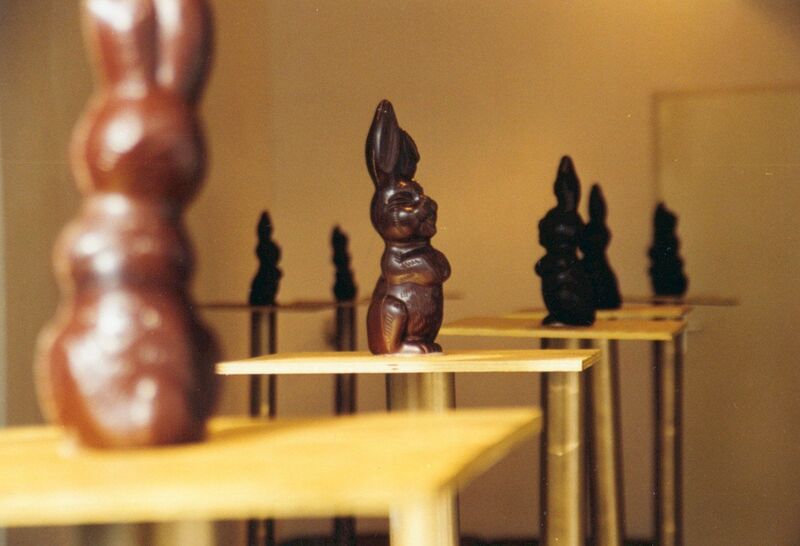 The podiums fall into your direction and the chocolate rabbits are ready to attack.